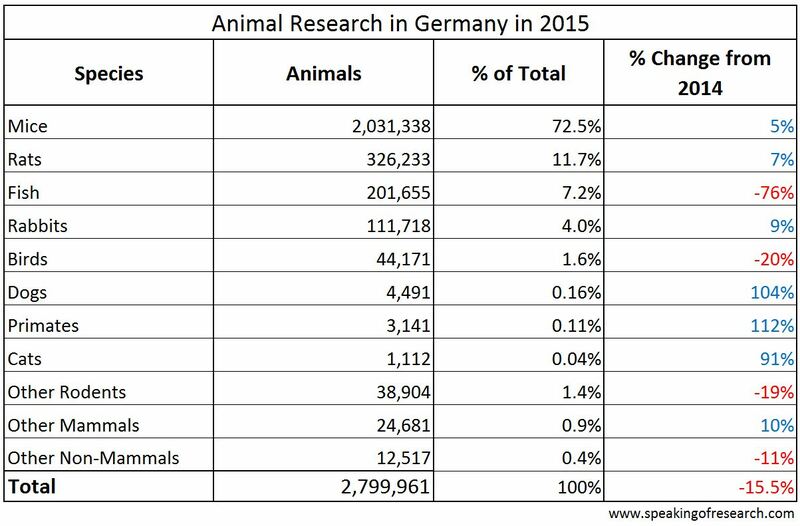 The statistics for animal research conducted in Germany in 2015 were submitted to the European Commission last week. We have summarised the data below. We compare that to the 2014 statistics also available on their website. Mice, rats and fish account for 91% of all animal procedures, rising to 95% if you include rabbits. 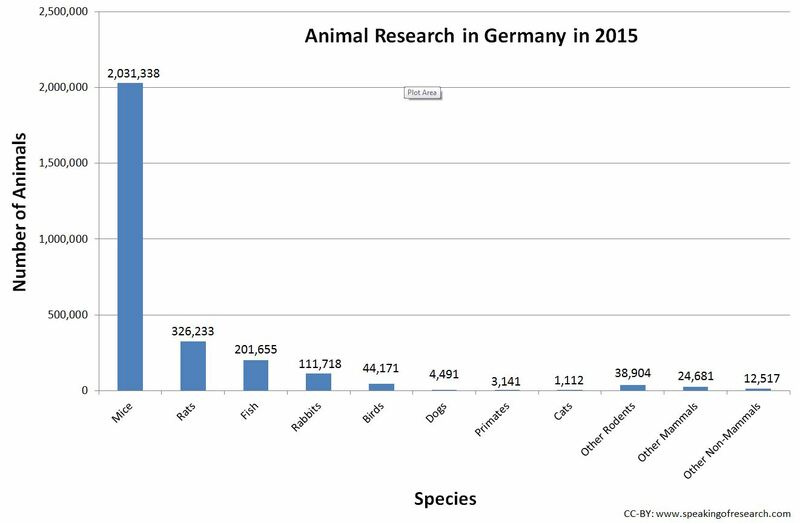 Similarly to 2014, Germany remains one of the few European countries where rabbits are the fourth most commonly used species in 2015. Dogs, cats and primates accounted for 0.31% of all animals, despite a doubling in the number of animals used for these species. This year was the second year where there was retrospective assessment and reporting of severity (i.e. reporting how much an animal actually suffered rather than how much it was predicted to suffer prior to the study). The report showed that 43% of procedures were classed as mild, 17% as moderate, 4% as severe, and 36% as non-recovery, where an animal is anaesthetised for surgery, and then not woken up afterwards. Compared to 2014, there were some noticeable shifts in relation to severity. While the number of procedures which caused animals moderate and severe levels of stress and distress decreased, the numbers of procedures that were terminal increased. Looking at the historical data, we see that like several other countries, the number of animal experiments increased steadily between 2000-2012. The sharp increase in 2014 followed by a decrease in 2015, reflect in part differences in the accounting procedures used between 2014 and 2015. Thus, it is too early to say whether the fall in 2015 is a one-off or a sign of a future drop-off in animal experiments. It is likely that this drop also partly reflects a decrease in funding to science during the recession and economic turmoil of the past few years. Next year’s data may provide some insight into whether and how this trend will continue. 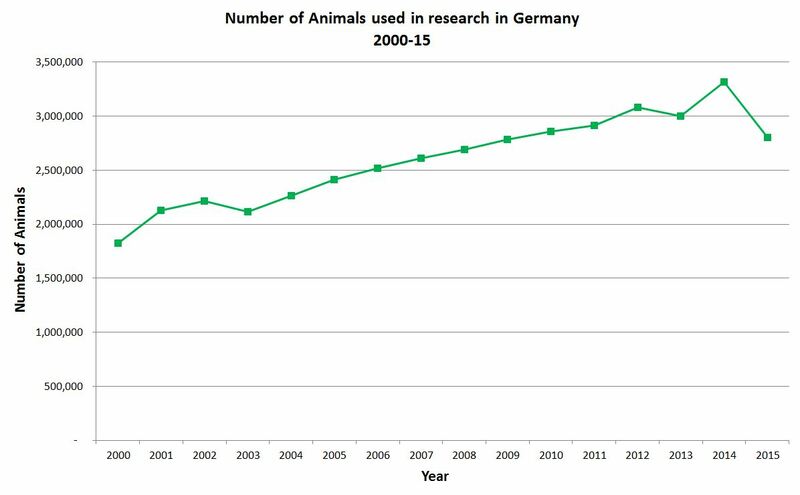 Trends in German animal experiments 2000-15. Click to Enlarge. 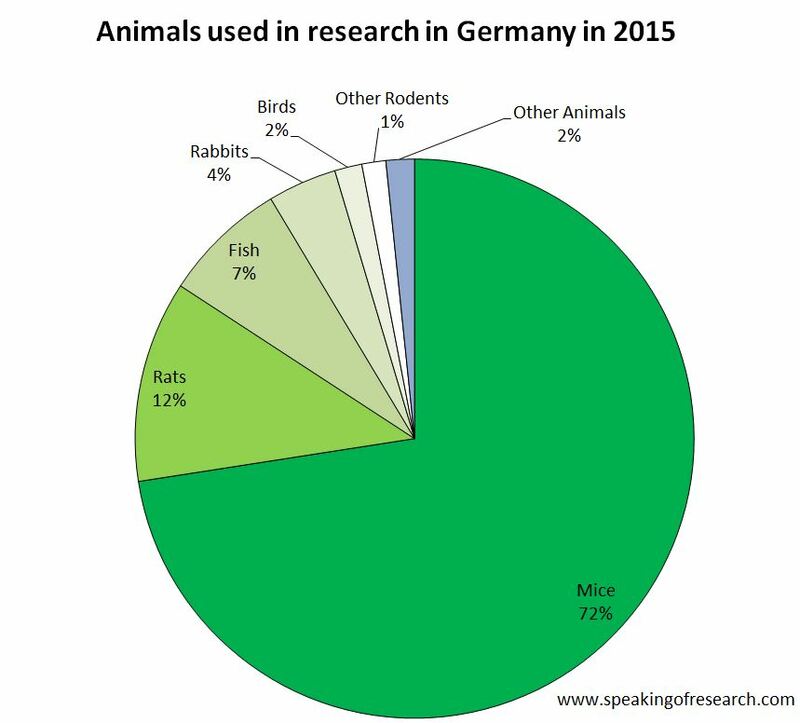 For further information about animal research (Tierversuche) in Germany see our background briefing, available in English and German. N.B. Some our more eagle-eyed readers may have noted the 2014 statistics referenced in this article do not correspond to those we published a year ago. This is because the German authorities changed the counting methodologies for 2015 and re-released an altered 2014 statistics so that they could be fairly compared to the 2015 data. Posted on January 30, 2017 January 31, 2017 by EditorPosted in News, Science News, StatisticsTagged 2015, annual stats, Germany, Statistics, Tierversuche.